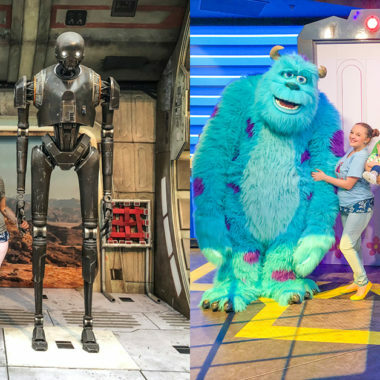 Are you thinking of visiting Disney this time of year but wondering if it’s really worth it? I’m here to tell you that it absolutely is. 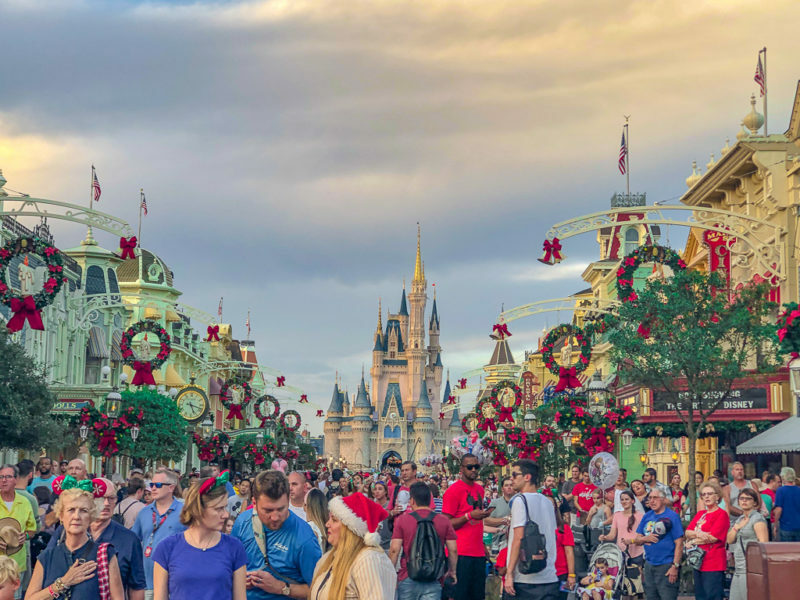 I love visiting all the Disney parks during the holidays but there is nothing like a visit to Magic Kingdom at Christmas time. Disney invited my family and I to experience Mickey’s Very Merry Christmas Party for the 3rd year in a row and it didn’t disappoint. 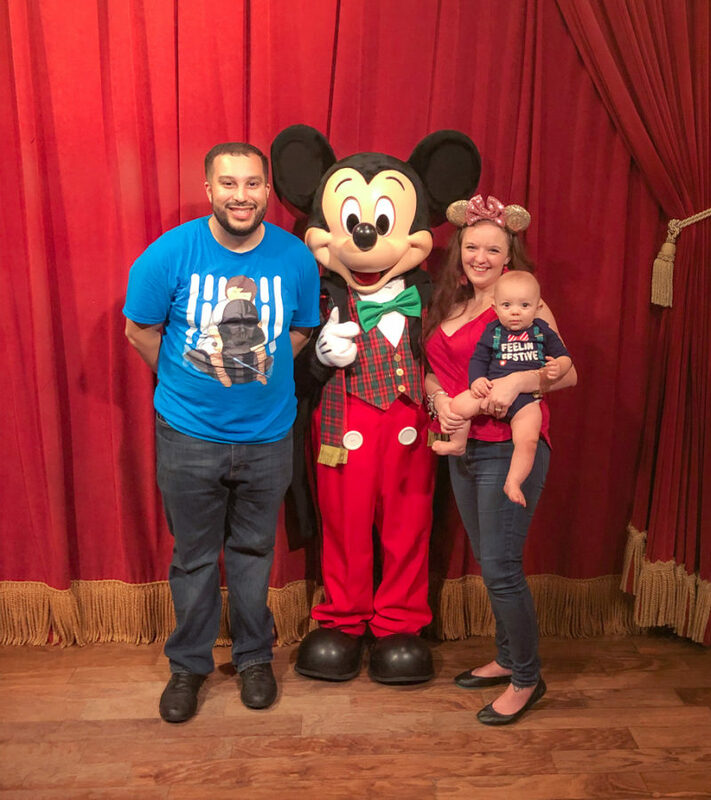 Last year we talked about Christmas at Walt Disney World and the year before we talked about how adults can enjoy Mickey’s Very Merry Christmas Party. 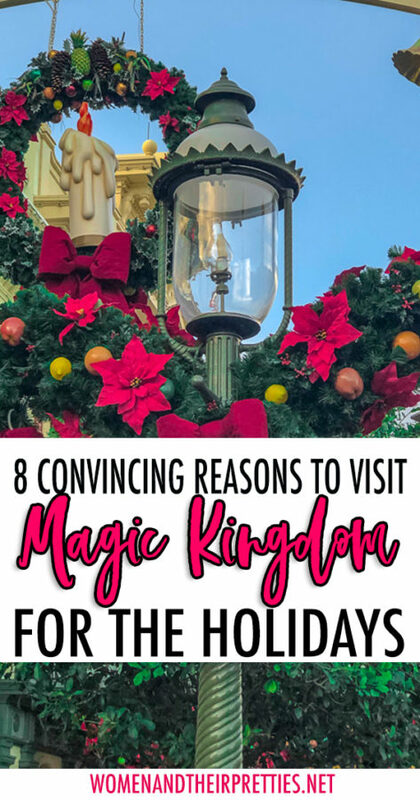 This time, I want to tell you about everything you can do at Magic Kingdom at Christmas time. Seriously, who wouldn’t want to visit the happiest place on earth during the most magical time of year? 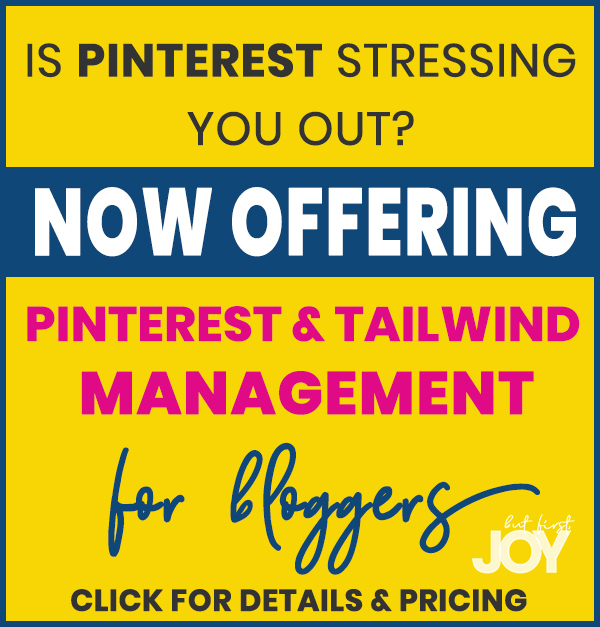 If the thought alone doesn’t convince you, then I’m sure this post will. My favorite reason to visit Magic Kingdom at Christmas is the Mickey’s Very Merry Christmas Party. 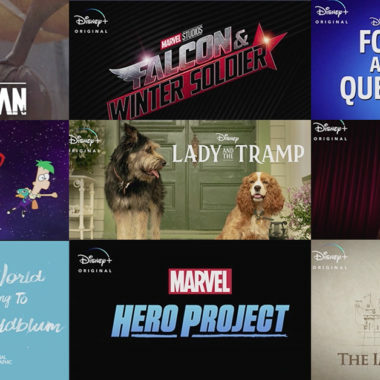 The 2018 Disney Christmas Party was full of holiday fun and magic! This year was extra special for me because I got to bring my baby boy for the very first time. 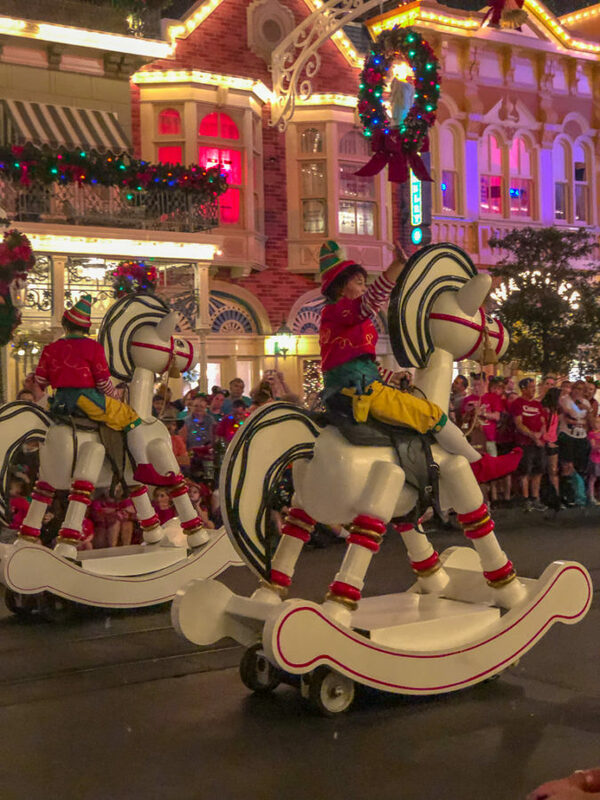 This special-ticketed event clears out the usual crowds at Magic Kingdom, leaving short lines at rides and fun all around. Free holiday snacks and drinks – cider, cookies, snowman pretzels, and more! 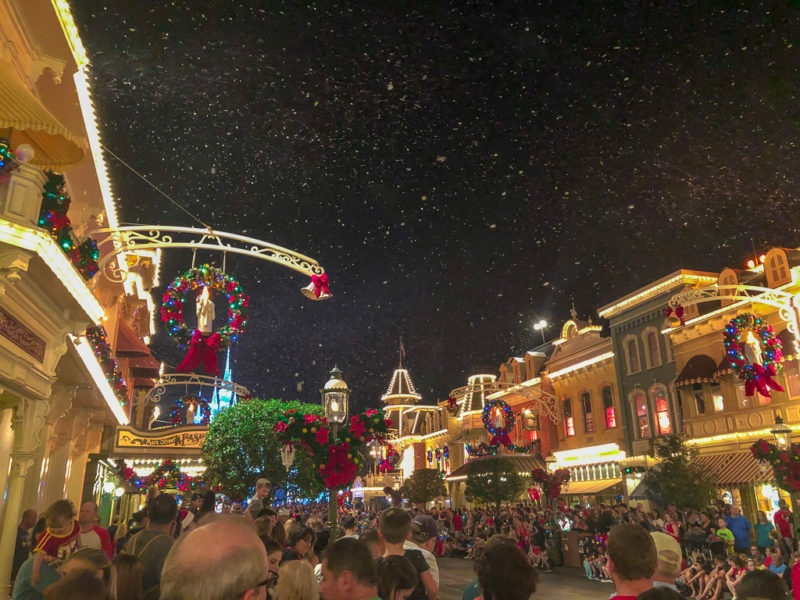 Once Upon A Christmas Parade – snow on Main Street, Santa, princesses, oh my! A Totally Tomorrowland Christmas – Every year during this magical season, a small band of revelers form an alliance to battle the holiday doldrums across the galaxy and beyond. Mickey’s Most Merriest Celebration – A Christmas stage show with your favorite characters! Club Tinsel – a holiday dance party for kids! 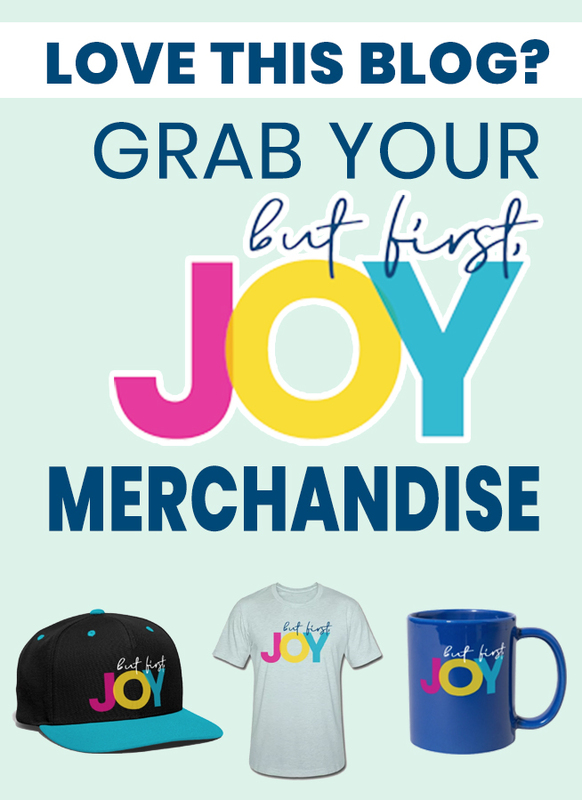 Grab Disney holiday mugs, apparel, pins, home decor, and more! Between us, I save a few months in advance to shop for Disney Christmas gifts! 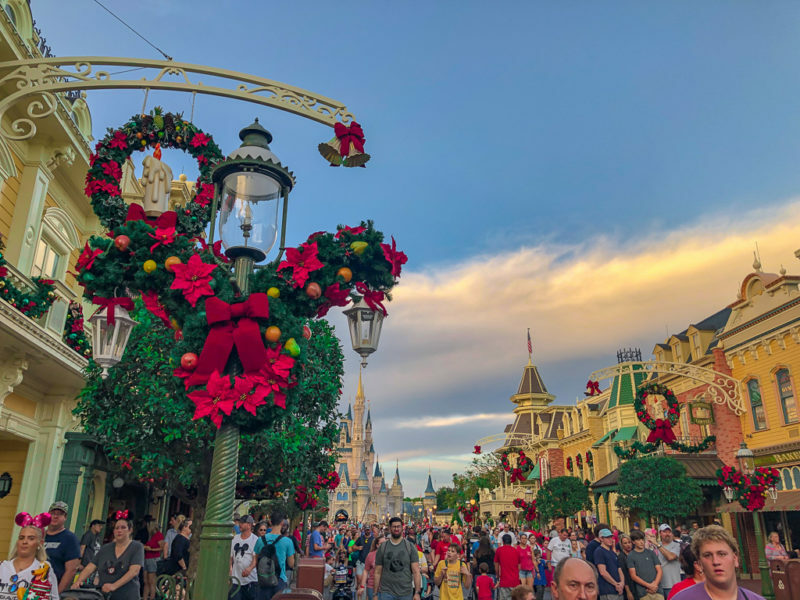 The Disney World Christmas decor at Magic Kingdom is more magical than anything you could ever imagine. With hidden Mickeys all over the park, gorgeous lights, a gigantic Christmas tree at the entrance, and so much more – you’ll wish you could hire Mickey to decorate your home. Oh, how I love seeing Mickey and Minnie decked out in their best holiday gear. You’ll see all sorts of characters in their holiday digs throughout the park so take advantage of the photo opps! 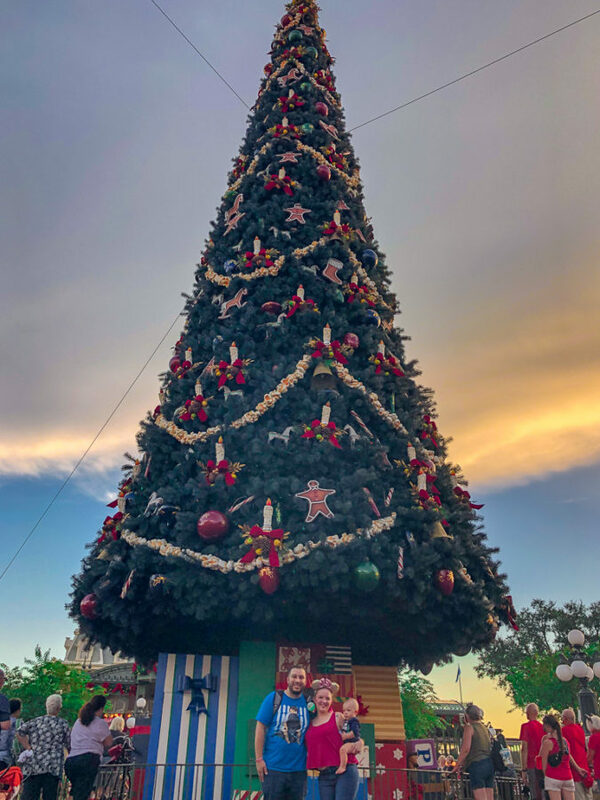 There’s nothing like taking family Christmas photos on the Christmas-themed Main Street or in front of the giant Christmas tree. 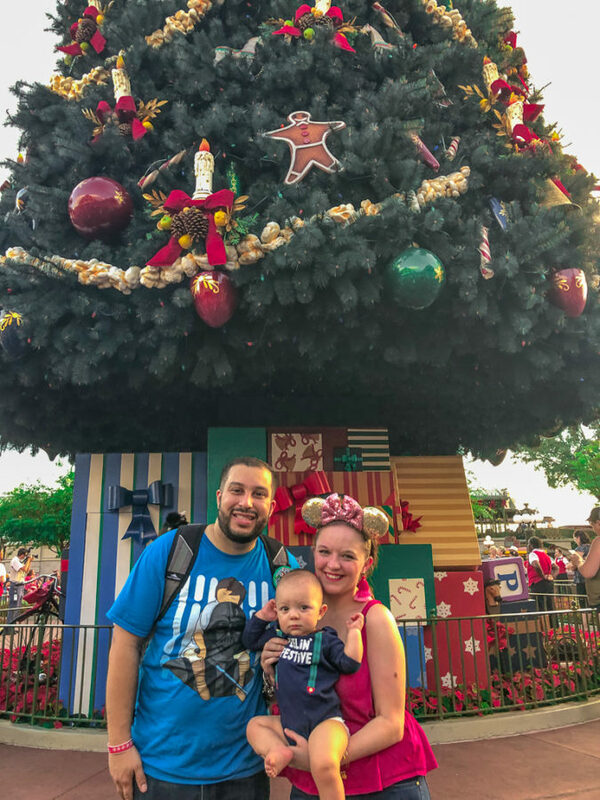 There are so many fun family photo opps in Magic Kingdom at Christmas time! The park is loaded with holiday-themed desserts and treats. You’ll want to order a little bit of everything or maybe even take grab tickets to the Fireworks Dessert Party to enjoy sweet treats with a great view of the fireworks show! 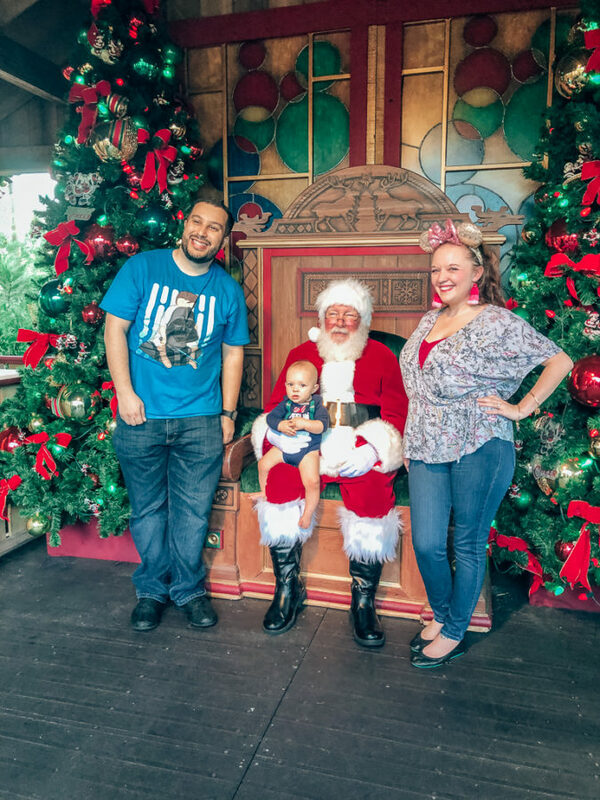 We visited Santa in Disney Spring for this photo, but you can also visit him in Magic Kingdom! Santa Claus will be meeting and greeting Magic Kingdom guests up until Christmas Eve! You can catch him next to City Hall! 8. A special holiday ride takeover! The Jungle Cruise becomes the Jingle Cruise for 2018’s Magic Kingdom at Christmas! The ride will experience a very special holiday takeover with a new storyline, holiday decor, music, and more! I hope you visit Magic Kingdom at Christmas time in 2018! 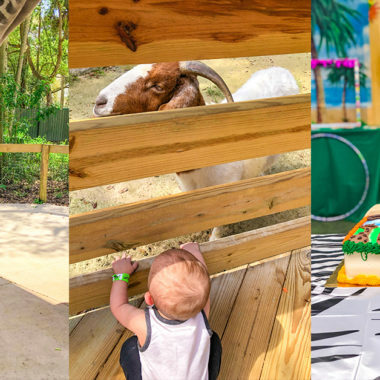 There are so many fun things for families to experience together. 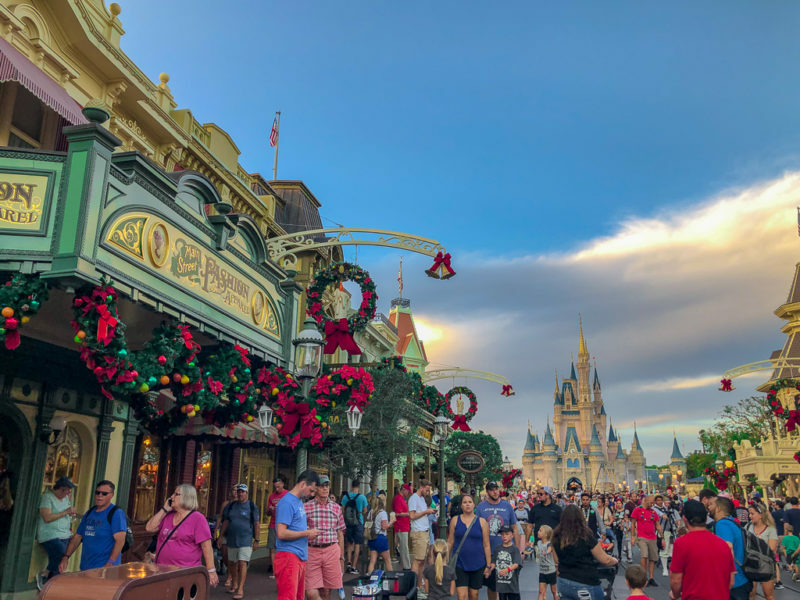 If you’re wondering, Is Magic Kingdom open on Christmas Eve and Christmas Day? YES! The crowds will be insane but if you don’t mind, go for it! However, you can visit anytime from November to December and still experience the Christmas fun!